A GIT honors graduate in 1992. 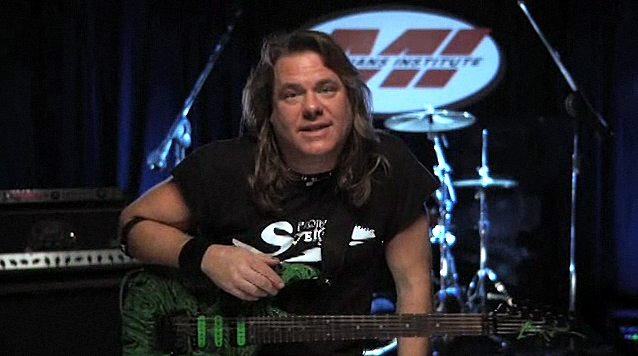 Ken Steiger gathered wide-ranging film score, radio and TV experience before returning to GIT, where he offers new explorations in rock/metal guitar and intense lessons on the latest techniques of modal shred guitar improvisation. Ken's current activities include his "Instra-Metal" shred guitar project Project Steiger, available in May of 2002, featuring special guests Derek Sherinian (Dream Theater, KISS) on keyboards, Virgil Donati (Steve Vai) on drums and Tony Franklin (Whitesnake, Jimmy Page) on bass. Ken is also known as a "guitar coach for the stars," most recently on the Warner Brothers movie, Rock Star. Check out Ken on the web at Steiger.RockGuitar.net.